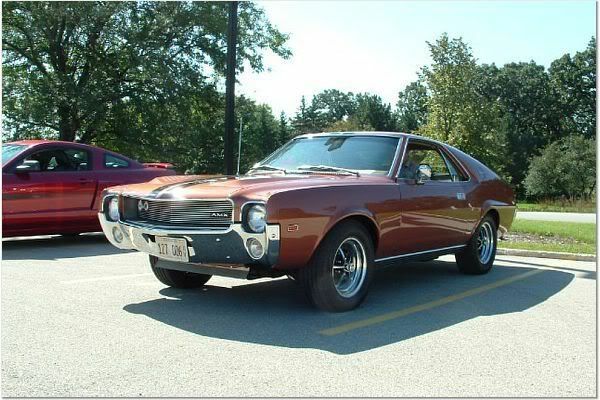 I recently purchase a '72 Jav/AMX that was originally a 360 car, I was told when the engine was rebuilt it was made into a 401. Is there anyway that I can determine that this is in fact true without removing the engine. I am preparing to do a transmission swap to a 4-speed. It is my understanding that the flywheel is proprietary to each engines displacement. Therefore, will I need a 360 or a 401 flywheel? First check the side of the block near the motor mount. Displacement of the block is cast into the side of the block under the mounting plate. If you can't see it you should be able to feel it. While you can use a 401 crank in a 360 block, you can't bore a 360 that much. If it was bored out to 401 size the cylinder walls are going to be awful thin and it will likely be plagued with overheating issues. The only way to tell what crank you have is to find the casting number on the crank. Casting number should be on first or second counterweight (from the front), so pan will have to come off. You will have to measure the bore also. You might be able to measure it close enough from the bottom with the crank and rods in, but it will be tough to get in there. As far as balance... unless it has all 401 reciprocating parts (pistons, rods, crank) the engine really needs to be balanced by a shop with the flywheel and dampener in place. It might be close enough with the factory flywheel for the 401 crank (assuming it has a 401 crank), but it may not. 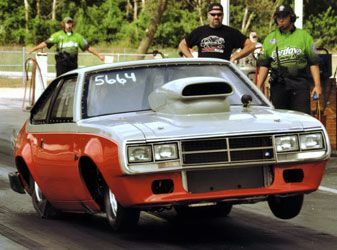 If you're just cruising around and you have the flexplate with the car it wouldn't hurt to try it, but if you plan on drag racing and turning it up to 5-6K often I wouldn't. It might idle and be fine at low speed and have a vibration at higher rpm (say over 3000). While not ideal that will work for a cruiser that only occasionally goes over 3K, but the engine will last longer if balanced. You will just have to try it and be prepared to take it all back out if you detect vibration you can't track down to anything else. They could have swapped the engine out for a 401. You should see a 401 cast into the lower side of the block. Regardless of internal parts, if the car is running, then you can remove the flex plate and have a flywheel match balanced to it. No need to take the complete rotating assembly out. Check the number on the damper, may indicate if it has a 401 crankshaft in it. FYI, the original 360 in my 72 Javelin SST has had a 401 crank, rods and std. bore pistons in it for about 15 years with no issues. So while the information given in the above posts might be a prudent suggestion without checking wall thickness it is far from accurate. It is the original block to the car with the 360 cast into the side. It is not a service block. As far as your question is concerned I would closely examine the balancer and flexplate of the engine in your car. Note the weights on the flexplate and the amount/position of the cutouts on the balancer. That will give you a good clue. Does it run smooth without excessive vibration now ? If it runs smooth without excessive vibration have the balance of the current flexplate replicated to your replacement. Yes, you can certainly bore a 360 out to take 401 pistons and install a 401 crank and rods to go with it, maybe pushing the envelope, but it will probably be ok in most cases. If running the entire 401 rotating assembly, then it should really run the 401 flex plate and balancer, but if it's running already, then hopefully it's balanced correctly. Could also be complete BS, but if it's running fine, then just enjoy it. In a 390/401 block, the bottom of the cylinder walls are notched for the crank throw. If it's a 401 crank/rods in a 360 block, the bottoms of the cylinder walls would have to have been clearanced. Of course, you would need to remove the pan to see this. You maybe able to carry out a swept volume check, see if you can get in touch with some local racers since it's pretty standard practice to do swept volume checks to prevent cheating in capacity limited classes. She runs and drives just like a factory original...the engine has a moderate cam and roller rockers. As I said, I did not have the engine built and have no way of contacting the builder. I would like to do this swap without R&R the engine. If she blows...I guess that I will insure that it is built properly to my specs. Thanks again.